Enjoy Utah! : ENTER TO WIN Passes To "What To Expect When You're Expecting"
ENTER TO WIN Passes To "What To Expect When You're Expecting"
Before I became pregnant with my first child, I expected that I would be super happy and excited to be caring my own child. Little did I know that pregnancy came with a wide range of emotions such as being terrified, overwhelmed, excited and scared! I was terrified that something was going to happen to my baby while I was pregnant, and that I would never get the chance to meet her. Nine years and two kids later, those fears are all laid to rest and a new set of emotions take their place! "What To Expect When You're Expecting" was the book chosen as my reading manual for the next seven months, as it is with many other expectant moms. That book has been scripted for the big screen, and comes out on May 18th. Thanks to Jennifer Parsons with Wyeth LLC,and brought to you by Centrum Specialist Prenatal, Enjoy Utah has five pairs of tickets to give away to the advanced Salt Lake City screening on Monday May 14th, 7pm at The Gateway! 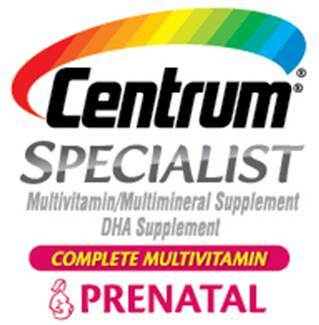 Centrum Specialist® Prenatal is on the look-out for soon-to-be or new moms! Five lucky winners will be chosen at random to receive a pair of tickets and a t-shirt. The t-shirt must be worn the night of the screening by the winner and their guest. You will meet me at The Gateway forty minutes prior to the screening on Monday May 14th to receive your t-shirt and appear in photo opps with me and the other winners. Must be 18 or older and a legal resident of the 50 United States and DC to enter. Please read the complete rules below! Winners will have 24 hours to claim their prize. If I have not heard from them 24 hours after receiving notification that they won, a new winner will be chosen. All decisions are final. NO PURCHASE OR PAYMENT NECESSARY. PURCHASE WILL NOT INCREASE YOUR CHANCES OF WINNING. VOID WHERE PROHIBITED. Must be 18 or older and a legal resident of the 50 United States and DC to enter. Not eligible: employees of Enjoy Utah posting the giveaways, Ketchum, Wyeth LLC (“sponsor”), and each of their parent, affiliate or related companies (“Sweepstakes Entities”), or their immediate family or persons living in the same household. Enter by submitting the required information, specified by Enjoy Utah. Use of automated or scripted programs to submit entries are prohibited. Odds of winning depend on the number and timing of the entries provided. Failure to respond to prize notification or provide required information may result in forfeiture of the prize and award. Except where prohibited, winners agree that the Sweepstakes Entities have the right to use their name, city and town and likeness in any advertising and marketing material, without compensation or any right to review and approve. 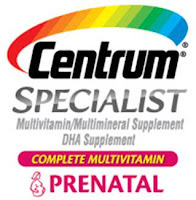 I am participating in a sponsored campaign hosted by Centrum Specialist® Prenatal multivitamins. I received compensation for this post. While all opinions stated are my own, I make no claims about Centrum Specialist® Prenatal as a product or its effectiveness. I expected smooth sailing! LOL. I'm sure you can figure out how that went. With my first child, I expected delivery to go somewhat "normal" and had heard all about my mom's deliveries so I thought it might be long but I didn't expect to go through 8 hours of regular hard labor only to have my son NOT come out (they pulled off part of his scalp with the suctioning trying to get him out) and then they pushed him back in and took me down for a c-section. Luckily for #2 and #3 kids the doctor knew that my pelvis was shaped so that the baby enters the sunny-side up and can't come out without being turned! I expected to have an epidural for my last baby like i did for all the rest and that did not happen. She came way to fast and I didn't have time to get one. Ouch!!! I expected to get an epidural like i did for my last 3 babies, but that did not happen. # 4 came way to fast and i had her Natural. Ouch!!! I expected to have the pregnant mommy glow and instead found out I would be pukey and misserabe most of the time and I still have 5 kids!!!! Go figure!!!! I expect the rest of the 4 months I have left of my pregnancy to be just as miserable as the last 5. I've done this 3 other times so I know! I expected that, since this may very well be my last pregnancy, everything would be sunshine and lollipops. Between having my head in the toilet for 4 months and finding out I have a dramatic uterus it's been far from that. I expected my 4th pregnancy to be as smooth sailing as my first 3. But I was wrong. It ended in miscarriage. And my 5th pregnancy was completely different than the first 3 as well. I am now in my 6th pregnancy and I had no expectations but it is entirely different than any of my other pregnancies. I have learned to expect the unexpected! After 3 beautiful (relatively) pregnancies & births, and one miscarriage, I thought baby #4 would be smooth sailing! Not so! Kidney stones, nephrostomies, and catheters for the last trimester! I figures all my other births were easy, too! Not so! Blood cots, not folding fast enough, losing lots of blood, and having party of the placenta taken out (with no epidural, mind you). She is here, safe, & beautiful! I just gave birth to a beautiful baby boy on Sunday. Due to a stroke when my now 7-yr-old was 8 1/2 months old and a miscarriage almost 4 years ago, I was in constant fear this child would not make it to full term. I relied on this featured book throughout both pregnancies. I just gave birth to a beautiful baby boy on Sunday. Due to a stroke when my now 7-yr-old was 8 1/2 months old and a miscarriage nearly 4 years ago, I was in constant fear this baby would not make it to full term. I relied on this featured book throughout both pregnancies. After 3 relatively easy pregnancies & deliveries, I figured #4 would be a cinch. First an early miscarriage, then we were pregnant again. This baby was a doozy! I looked 6 months pregnant by week 12. The last trimester was full of kidney stones, nephrostomies, and catheters. Birth time came & precedence had me expecting smooth sailing. No epidural- blood cots, not dilating fast enough, losing lots of blood, & part of the placenta having to be scraped out.... Not fun at all. But she is here now. Beautiful, happy, and safe. And I would do it all again if I had to! I expected the 9 months to fly by. It was the longest time of my life. I expected to love being pregnant but that did not happen. I loved my babies, but pregnancy is the worst. I expected to be late like my mother, so she went out of town 2 weeks before my due date and my daughter arrived 12 days early! My next was 10 days early, so I expected my third to follow suit. Nope, 3 days late. I have no idea what to expect this time.